By the mid 1970s, many of these same activists had become hostile to socialism, advocating a separate path to liberation rooted in indigenous traditions. This mirrored trends in other movements against oppression – the Left quite simply lost credibility. Much has been written exposing the critical weaknesses of the Left during that period in addressing the experiences and aspirations of people who are oppressed because of their gender, sexuality, or race. But we have not adequately accounted for the specific intersection of indigenous struggles with socialist theories of revolutionary change. 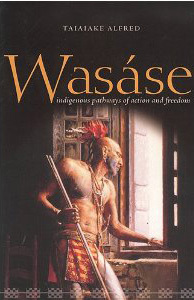 During the mid-2000s, a small network of indigenous activists drew upon the ideas of Taiaiake Alfred in his book Wasáse: Indigenous Pathways of Action and Freedom (2005) to begin addressing the contradictions of a traditionalism that is linked to official aboriginal organizations sanctioned and funded by the Canadian state. More recently, the many activities organized under the banner of Idle No More have rekindled a movement among indigenous people and shown just how widespread opposition to colonial oppression in Canada is. Some indigenous activists have critically reconstructed the radical anti-capitalist ethics underlying many indigenous traditions. The challenge for non-indigenous radicals is to build strong bonds of solidarity with the new indigenous movement, which is now at the cutting edge of opposition to Canadian capitalism’s expansion of ecologically destructive resource extraction industries. This requires that socialists critically reconstruct our own traditions of socialism from below, whose heart and soul is the belief that a revolutionary and democratic transformation of society can only be achieved by the self-organized mass struggles of workers and oppressed peoples. In our work with indigenous peoples, we bear responsibility for demolishing in theory and practice the corruption of socialist ideas that followed the defeat of the Russian Revolution by Stalinism. This is no easy task. We must take on nearly a century of cumulative theoretical justifications of Stalinist, social democratic and Third World nationalist strategies. We must engage in a rigorous critique of so-called “models” of “socialism” from the past and present – from the former USSR, to the tradition of the NDP, to the “Communist” dictatorship of Fidel Castro and the reformist governments of the late Hugo Chávez and Evo Morales. Equally as important, we must confront the legacies of Stalinist and social democratic strategies in Canada that have destroyed the credibility of socialism among radical indigenous activists. In reclaiming our own traditions, we must recognize that we have a lot to learn from those indigenous activists who have been forging alternatives to the anti-democratic travesties that have for so long been the publicly recognized face of socialism. In fact, during this grim quiescent period in which the neoliberal agenda often seems to be undefeatable, indigenous actions such as Idle No More and numerous smaller indigenous mobilizations that have taken place over the past decade (such as the Six Nations of Grand River reclamation at Caledonia, the protest by the Kitchenuhmaykoosib Inninuwug [KI] Indigenous Nation against gold exploration, and the Barriere Lake First Nation struggle to protect their indigenous governance system,) are crucial evidence for socialists that movements from below are the central force for social change. The bitter disillusionment of indigenous activists in socialist politics by the mid-1970s is documented in several books published about the period by writers including Lee Maracle (Sto:loh), Jeannette Armstrong (Okanagan), and Vern Harper (Cree). In each text, the same cycle of radicalization and disillusionment is repeated. Indigenous hostility to socialism in general and Marxism in particular is distilled in the collection edited by Ward Churchill, Marxism and Native Americans (1983). The experience of betrayal cannot be dismissed as irrelevant or misguided by socialists who want to learn from the past in order to build solidarity with indigenous peoples in the present. The socialist left that Red Power activists encountered was overwhelmingly dominated by socialism from above politics, in the form of English-Canadian left-nationalism, and pro-Russia and pro-China versions of Stalinist “Communism.” An honest reading of indigenous texts from that period can provide socialists with both an understanding of the enormous possibilities presented by moments of indigenous radicalization, and the pitfalls of a politics that fails to account for the specific conditions of indigenous resurgence. In his book Prison of Grass (1975) and the posthumous publication Otapawy! (2005), the late Métis leader Howard Adams recounts the story of his own radicalization through the campus Free Speech movement in Berkeley, California, and listening to a speech by Black Power leader Malcolm X. 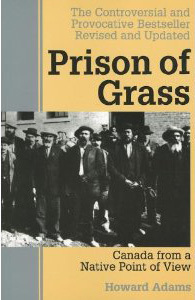 He concludes in Prison of Grass that although objectively from a socialist perspective indigenous peoples may have a common interest with the white working class in defeating capitalism, the rampant racism in Canadian society makes joint organising impossible for the foreseeable future. This reflects the indigenous experience of working-class movements and the Left during the 1960s and 1970s. Lee Maracle describes her own negative experience with socialism during that period in her testimonial Bobbi Lee, Indian Rebel (1975). She had arrived in Vancouver, where indigenous activists were organizing campaigns against poverty and police brutality, inspired by the Black Power movement in the United States. But she recalls political discussions among her comrades of the time as being highly abstract and formulaic, quite detached from the everyday struggles of the majority of indigenous people. She clearly came to resent the arrogance of those who were drawing on Maoist or Communist principles to bring revolution to the people. Unfortunately, the theories that informed the mistakes of socialist organizations in the past did not go the way of the dodo bird with the collapse of the Soviet Union. While only a few are still so stupid as to celebrate Stalinism, the crude variants of orthodox Marxism that were promoted by Stalinist regimes and organizations still influence some socialists and are seen by many more leftists as what Marxism is. . And social democratic strategies for using electoral politics as a tool for social change remain remarkably resilient, despite numerous betrayals when social democratic governments have come to power – both internationally and within Canada. Currently, it is an NDP government that is promoting the massive expansion of hydroelectric development on Cree territory in Manitoba, despite the disastrous social impacts of hydro dams historically in that province. We can get a glimpse of what a federal NDP government would be like when we see its embrace of tar sands development. Notwithstanding the long history of colonization and systematic oppression of indigenous peoples by every ruling party of the Canadian state, a small number of “socialists” persist in advocating the dogma that indigenous peoples can only be liberated through the intervention of that same state. 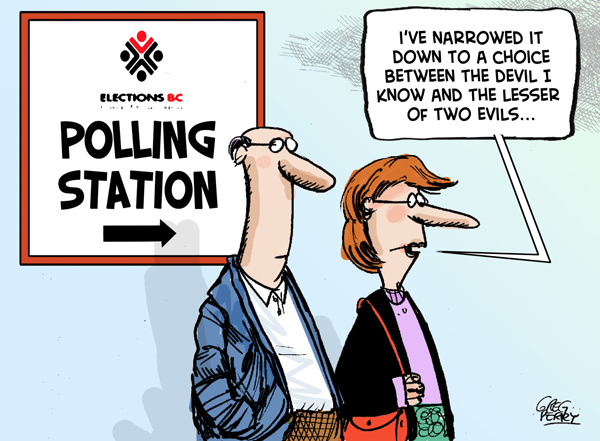 This perspective was distilled during the first round of conflict over the Mackenzie Valley Pipeline in the 1970s. Left-nationalist academic Mel Watkins was the leading voice of a group of consultants for the Dene Nation that argued for a land claim agreement and government intervention to subsidize traditional harvesting. Land rights, funding and political recognition were seen as solutions for the marginalization of Dene people in the North. We are now seeing the consequences in the North of reductive notions of what is required for indigenous self-determination. The establishment of “certainty” through land claims has facilitated an unprecedented rush for industrial development in the North. Government funding programs have supported the crystallization of class structures in indigenous communities, effectively buying the unquestioning acquiescence of indigenous leaders in federal and territorial development policies. Authors Frances Widdowson and Albert Howard used their brief experience working as bureaucrats for the government of the Northwest Territories to take aim at what they refer to as the aboriginal “problem.” Marxists who have been writing on indigenous oppression and self-determination cringe to see our works cited in the numerous articles and conference papers that Widdowson and Howard have produced since 1996, since invariably our ideas have been distorted, taken out of context, and at times used to support conclusions that are diametrically opposed to our own perspectives. It is quite horrifying for self-respecting socialists to find themselves quoted in the company of right-wing ideologues such as the late Mel Smith (whose book Our Home or Native Land? questioned the validity of First Nations rights and land title), and Tom Flanagan (one-time policy advisor for the former Reform Party and Harper’s Conservatives). And Karl Marx would once again be turning in his grave with Widdowson and Howard twisting his critique of political economy to suit their purposes. Despite the numerous glaring problems in the so-called “scholarship” of this pair, it is instructive for socialists to take note of their work as a negative example of the logical consequences of socialism from above. Intent upon defending the orthodoxies of secular rationalism and science-based policy as the basis for state reform, Widdowson and Howard have launched a vicious attack on “tribalism” and “religion-based” policy that they claim dominates territorial and aboriginal governments alike. Their first target was the use of traditional indigenous knowledge in scientific inquiry and government policy. This engendered a national debate that reached the pages of the Globe and Mail in 1997. Widdowson and Howard subsequently took aim at “tribalism” in the Nunavut and Territorial governments (1999); social “dysfunction” and “dependency” in indigenous communities (2003); indigenous nationalism as an “opportunistic” obstruction of legitimate Quebec claims to nationhood (2004); and the inclusion of aboriginal perspectives in Canadian historiography (2005). In short, Widdowson and Howard have the temerity to argue that indigenous societies are a throwback to an anachronistic Neolithic stage of social history. In the face of rational modernisation, indigenous people are supposedly inherently inferior and constituted by lack: they are illiterate, dysfunctional, dependent and corrupt. The population explosion in their communities is causing serious problems. According to Widdowson and Howard they do not qualify for nationhood, and thus self-determination is not an option. The solution for all their “problems” is for indigenous people to submit to the evolutionary nature of history; to recognize the inherent superiority of scientific methods; to relocate from their traditional territories to urban centres; and to become “socialized”(i.e. assimilated) into Canadian capitalism. Widdowson and Howard don’t hold out much hope for this solution to be workable in the near term, given “tribal” superstitions and resistance to progressive innovations. Clearly the only logical solution for the present is to cut funding for indigenous organizations and continue what they describe in positive terms as the “warehousing” of indigenous peoples on the margins of Canadian society – a perspective frighteningly similar to Stephen Harper’s agenda on Aboriginal affairs. Though this perspective seems too similar to racist and genocidal colonial policies to be even remotely identified with socialist politics, in fact the methods harnessed by Widdowson and Howard are quite consistent with the orthodoxies of socialism from above – the same brand of socialism that was the basis for Stalin’s pact with Hitler in 1939. The theory is that history goes through a fixed series of evolutionary stages; that capitalism is a progressive force leading inevitably to socialist revolution; and that scientific state planning is the principal tool for achieving human liberation. The method is to develop an abstract theoretical formula to be imposed on all social realities regardless of people’s specific historical experiences or subjective understandings of their conditions. The flaws in this brand of socialism are fatal. In their unwavering defense of scientific rationalism, Widdowson and Howard fail to account for the systematic complicities between global capitalism and the state, and between capitalist interests and scientific knowledge. They seem to be completely unaware of the countless social and environmental disasters that have been engendered with the aid of “scientific” planning. In negating traditional indigenous ways of life and nationhood, Widdowson and Howard fail to recognize the ways in which radical indigenous resurgence can pose significant obstacles to capitalist expansion in renewing traditional modes of taking care of the land. In quoting translated fragments of indigenous elders drawn from the transcripts of bureaucratic meetings as proof of the “vagueness” and “contradictory” nature of their knowledge, they fail to comprehend the specific context of indigenous land-based knowledge. In deriding indigenous spirituality as a “religion,” they ignore the qualitative gulf between institutionalized religion and beliefs that allow for precisely the unalienated way of being in the world that Marx dreamed of when he looked to “primitive communism” as a prefiguration of a post-revolutionary socialist society. In insisting that indigenous peoples must assimilate into the capitalist labour market, they fail to account for the competitive structures, including oppression on the basis of race, gender and sexuality, that have for so long divided and conquered the labour movement (for more critique of Widdowson and Howard, see this article in Upping the Anti and the subsequent letter by this author). Karl Marx was his own best critic. In the final decade of his life he studied pre-capitalist peasant communes in Russia to understand what role they could play in a future revolution that might take place before capitalism had fully developed in that country – a possibility denied by many of his followers. Through his late studies he also gained, in Franklin Rosemont’s words, a “sense of the living presence of indigenous peoples in the world, and of their possible role in future revolutions.” Today, socialists should take this as inspiration to confront forms of politics that have pushed indigenous peoples to the side as agents of their own liberation. The consequence of this critical perspective is not a rejection of socialism. On the contrary, it can lead to a renewal of socialist ideas and practice. Socialism from below politics can provide tools for learning from the specific experiences of indigenous movements, and for demonstrating the intersecting interests of indigenous peoples and non-indigenous workers. In learning about indigenous movements and recognizing their autonomy, socialists can help build the strong and lasting bonds of solidarity necessary to fight the capitalist system and win. DL Simmons is an editor of New Socialist Webzine.